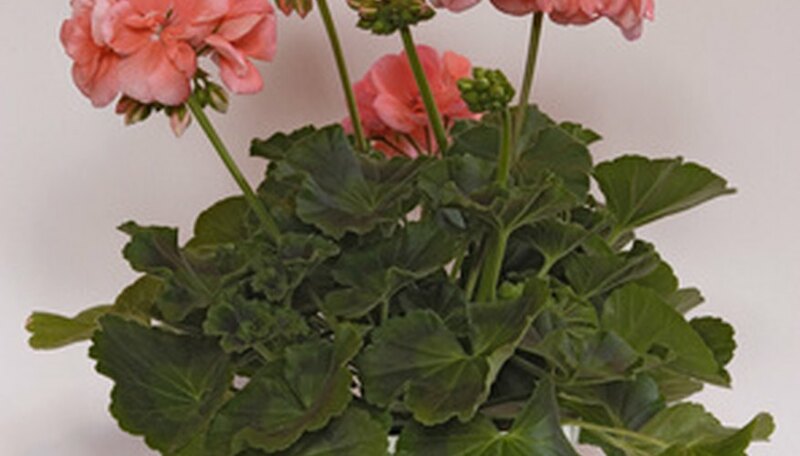 Geraniums are a wonderful addition to any garden, and they bloom in any number of colors, from red to blue to violet. To avoid having to buy new seeds or seedlings for transplant year after year, you can collect seeds from geraniums yourself. By collecting and saving your own geranium seeds from an existing plant just after flowering, you can plant and save seeds year after year for a free, flourishing addition to your garden, containers or landscaping. Wait for your geraniums to flower and the blooms begin to dry. As the flowers dry, some petals will start to drop to indicate collection time. Collect seed heads from your healthiest, prettiest plants by placing an open paper bag just below the dried flowers. Clip the stems of the geranium just behind the seed head and allow the seed head to drop into the bag. Bring the bag indoors and spread the seed heads out on a sheet of newspaper. Keep the newspaper in a warm, dry location as the seeds dry inside the seed heads for two weeks. Put the dried seed heads back into a paper bag and fold the ends down to seal the bag shut. Hold the ends folded and shake the bag vigorously to release the seeds from the seed heads. Pour the seeds and seed heads out of the bag and back onto the newspaper. Pick through the seeds and seed heads to remove and discard the empty heads, while leaving the seeds and still-full seed heads on the paper. Allow the loosened seeds and unready seed heads to continue to dry for another week. Store the dried seeds in labeled envelopes in cool, dry place. Shake the seed heads again after another week and let those newly released seeds dry for another week before storing. If you have more than one variety of geraniums to collect from, be sure to collect and save only one variety per paper bag and envelope. Label the bag, newspaper, and envelope so you don't get your seeds mixed up for a predictable coloring in your garden the following year.